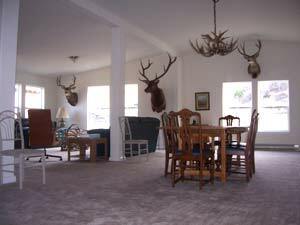 Lodging at Nine Mile Guest Ranch is unique in a few ways. First, there is a story - a history - for each cabin. Second, each has its own personality and is decorated to reflect that. However, while much has been done to preserve the history and authenticity, even more has been done to provide clean, comfortable, country charm. The cabins have gas heat and while no cooking is allowed in the cabins, we welcome your use of our barbecue area for all your cooking. Smoking is allowed outside. 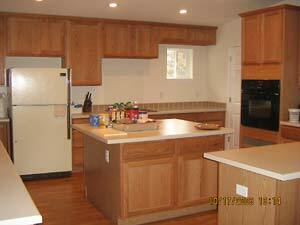 All cabins are equipped with a refrigerator, microwave and coffee maker. 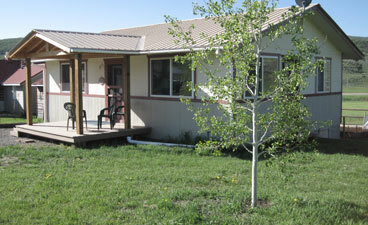 In 2005, we added modern lodging at our South Ranch in the form of a 3000 square-foot modular building. It sleeps 14 people in 7 bedrooms. There are 4 1/2 baths, a large common area with unique and beautiful views. 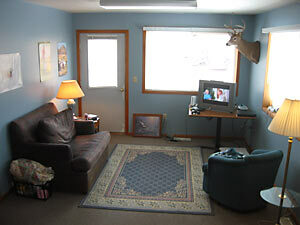 The only cabin with TV, the Club House is the newest, largest, and most modern of all the cabins. 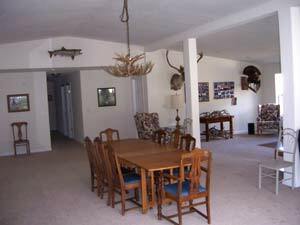 It is a great place for everyone to congregate as it has a large common area. 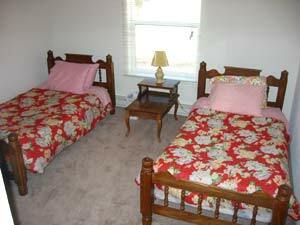 This cabin also features two separate bedrooms, one with a queen bed, the other with a double and a single. The Club House has a shower bath and a large covered porch. 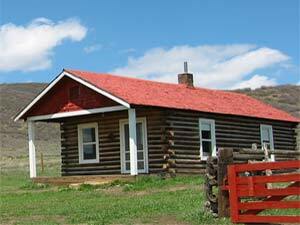 The medium-sized cabin at Nine Mile Guest Ranch, called "589" is best identified for its lovely views from all windows and the south-facing porch. 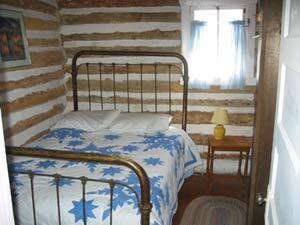 This cabin has one double bed and two singles. 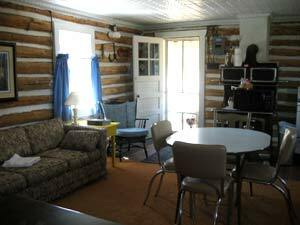 You have a private bath in this cabin, as well as a sofa, easy chair and table and chairs. The Bunk House is the big cabin. It has three rooms and a large modern bathroom. In one bedroom you will find a double bed and single bed; another bedroom has a double bed, and the common room has two single beds as well as a sitting area, table and chairs. 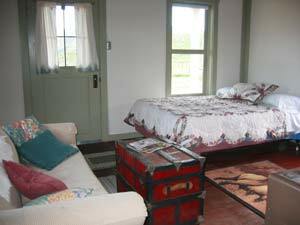 The pressed-tin ceiling is original to the cabin, as is the Majestic wood-burning stove.